Melt butter in a large skillet, add garlic and mushrooms. Cook about 5 minutes or until mushrooms just start to brown. 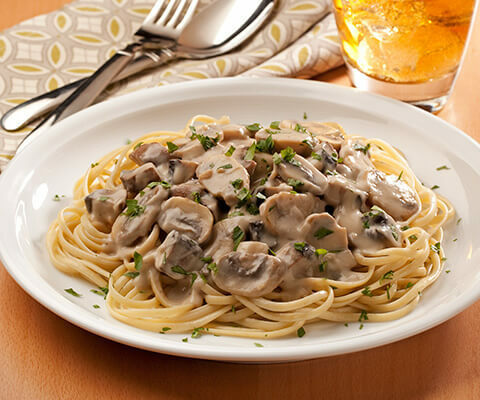 Stir in Classico® Light Asiago Romano Alfredo Pasta Sauce and heat through. Serve with warm pasta and garnish with chopped parsley if desired. Try pouring this sauce over grilled chicken breast. Delicious recipe as is. Also great as a sauce over chicken or with Italian sausage over pasta.